One of Texasâ€™ prized architectural treasures, and Landmark since 1978, the Baldridge House possesses an artful balance of historic elegance and modern amenities. The nearly one-and-a-half-acre estate is protected by a privacy fence and hedge. Juxtaposed by the grandeur of the home, guests are greeted by an understated, yet ornate fountain, which gives a proud and peaceful nod to this magnificent home. 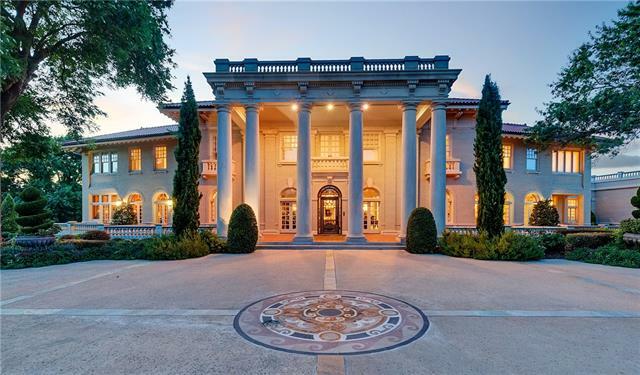 This estate has three living spaces, perfect for formal and informal gatherings, a billiard room with oak paneling and highly detailed oak coffered ceilings, six gorgeous bedrooms, six lavish bathrooms, large storage spaces and room for eleven cars making this home perfect for the auto enthusiast. From Crestline Road headed west the home will be on the right.